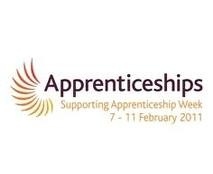 Apprenticeship Week is an excellent week to be able to promote our talented young people and excellent employers. Why not take a look at www.apprenticeshipblog.com and see what is going on. A Whickham teenager has taken the first step on his travels to career success after landing an apprenticeship with a holiday wear retailer at Newcastle Airport thanks to the North East Apprenticeship Company (NEAC). Eighteen-year-old Joe Wilson has been placed by NEAC as the new management trainee at Traveller – a retail outlet which sells clothes and accessories to holiday makers. Joe left Gatehead’s Emmanuel College part way through A Levels in Business Studies and ICT after deciding academic qualifications didn’t suit him. 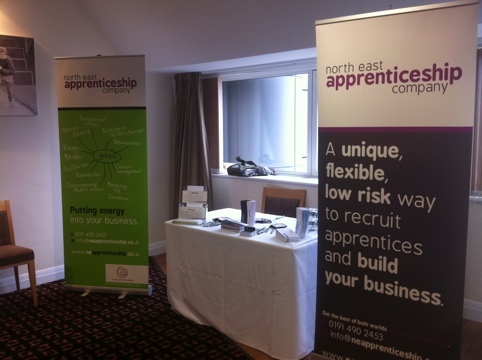 After hearing about the North East Apprenticeship Company (NEAC) from a friend he applied to find a training place. He said: “I didn’t like school, I just wasn’t interested. I completed my first year of sixth form then started to look around for something else. I rang NEAC and they started looking for a placement for me. “I really enjoy my new role. It’s totally different to school – I get treated like an adult. I‘m not sure yet what I want to do in the future but I think it will be something in retail. Joe is on placement for at least 12 months and is working towards an NVQ Level 3 in Management. His boss and Traveller company director Giles Mortimer said: “After just six weeks with us Joe is already making his mark and attending management meetings. “He was a bit shy at first but we chatted to him and had a laugh. We liked the fact that at a young age he already had experience of working while he was at school. “We didn’t just want anybody; we wanted somebody with something about them and had some initiative. Giles was also pleased that the NEAC helped with the expense of employing someone at the airport – which requires special training in fire and security risks. Giles and business partner Ian Chapman set up Traveller 12 years ago and have been based at the airport for five of them. Joe is the latest member of staff – the ninth – and despite the recession the retailer is expanding into online sales with the launch of www.holidaywardrobe.com. More than 30 North East companies have already signed up with NEAC since it was launched and 450 potential apprentices have also registered for placements. 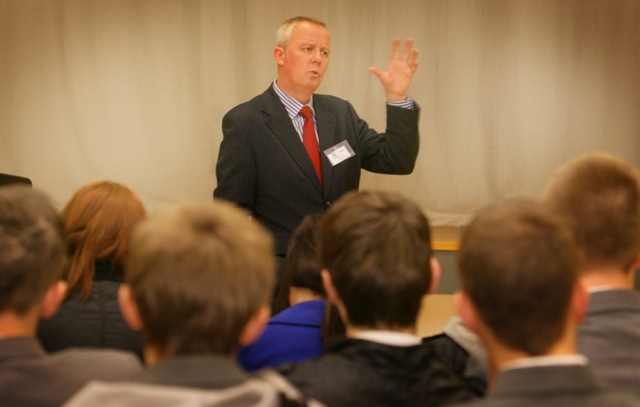 Managing director Paul Champion said: “We are seeing a lot of interest from employers like Giles who want to give young people the chance of a career and to pass on their expertise and experience to future generations. 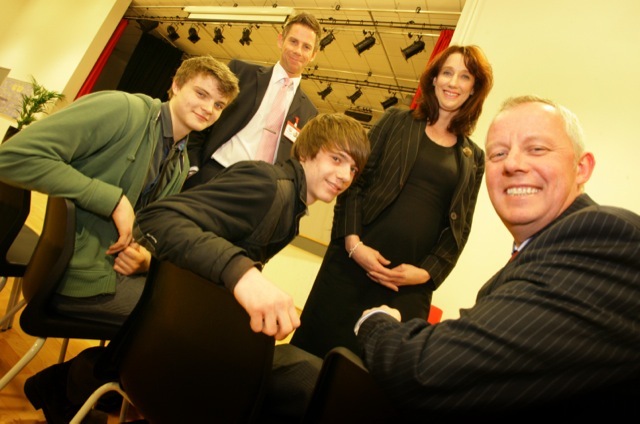 Tim Lamb and NEAC,bringing business into schools programme. Experts from a company which finds apprentices for regional companies have gone back to school to teach the latest generation of students the skills required to succeed in business. 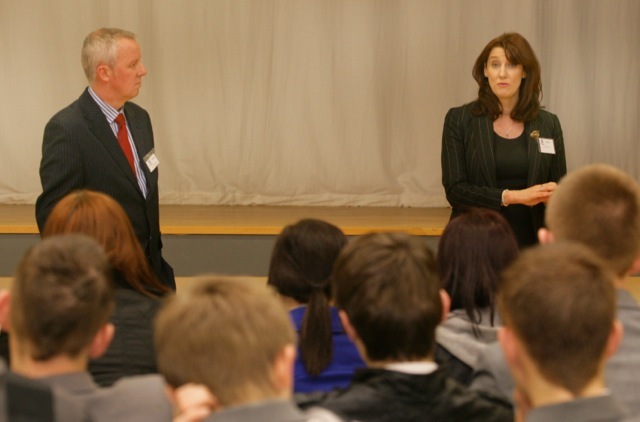 The North East Apprenticeship Company’s (NEAC) Judith Jackson and Tim Lamb visited St Joseph’s RC Comprehensive School, Hebburn today (Monday 7th Feb) to mark the start of National Apprenticeship Week 2011 (7 – 11 February). The event aims to highlight the talents and skills of apprentices and celebrate the value of apprenticeships. Tim – who is the general manager of the Metrocentre and NEAC’s first ambassador – promoted the benefits of apprenticeships, sharing his positive experiences and how they have shaped his own career. They explained how an apprenticeship can provide that important first step on the ladder to career success. Possessing a positive attitude, being confident and well organised, as well as being good with people, were just some of the tips given to the students, many of who were thinking about how they could improve their chances of getting a job when they leave school later this year. Tim explained how his career had began when he became an apprentice in the parts department at Mill Garages when he was 16-years-old. This paved the way for a successful career in customer service based industries culminating in becoming general manager of Eldon Square before taking up his current job at the MetroCentre. “As a former apprentice myself, there’s no better way to learn a trade and gain some valuable skills than through an apprenticeship. It certainly helped me to get where I am today. It’s also interesting is to see the sheer variety of apprenticeships now available to young people keen to get on in life. School Students said: “Tim and Judith’s advice was very helpful because I had been thinking about what I was going to do when I leave school this summer. NEAC, which has a regional brief to expand apprenticeship positions, aims to tackle the skills gap by creating more than 1,000 new apprentice jobs by 2012, particularly among small and medium enterprises (SMEs). More than 150 companies have already signed up with the NEAC since it was launched and more than 400 potential apprentices have registered for placements. Visit www.neapprenticeship.co.uk or email info@neapprenticeship.co.uk Tel: 0191 490 2453. Charlene Curry, to her first day at work in National Apprenticeship Week. Catherine’s Apprenticeships and Skills Bill aims to dramatically increase the numbers of apprenticeships in the UK using the tool of public procurement. The Bill receives its second reading in Parliament this Friday (11th February), but Catherine is leading from the front by hiring an apprentice in her constituency office in Westerhope, Newcastle. Charlene Curry, from Newbiggin Hall in Newcastle, will complete a Business Administration qualification whilst gaining work experience in the office of her local Member of Parliament. The new apprentice, who has been placed by the North East Apprenticeship Company, will be involved in a variety of tasks to help ensure the smooth running of the office, including answering the telephone, opening post, ordering stationery, filing and dealing with enquiries from constituents. “It was a real pleasure to welcome Charlene to work this morning on the first day of National Apprenticeship Week. I believe she will be a huge asset to my constituency office whilst offering her the opportunity to gain a qualification while she works. Charlene has just completed an NVQ in customer service working on an NHS contract and in her interview really impressed Catherine with her insightful responses and friendly manner. As with anything that is important it needs as much support as possible. Catherine and her team have made it really easy to support the bill. Just copy the letter below and send it to John Hayes MP. Let’s start and collectively share the responsibility for our young people and our future skill needs. I am writing to you to ask you to back the Apprenticeships and Skills (Public Procurement) Bill and help it to progress through parliament at its second reading on Friday 11 February 2011. I am pleased to hear that you have been supportive of the bill and its aim to increase the number of high quality apprenticeships available by requiring companies awarded public sector contracts to commit to providing apprenticeships and skills training to young people. It is also encouraging to know that the Conservative led Government has pledged to increase the number of apprenticeships. • Creating thousands of new apprenticeships at no cost to the public purse. • Bridging the employment and training shortfall. This is important as apprenticeships significantly reduce the burden of skills training upon the public purse. • Placing Britain in a strong position to emerge from the global recession with the skills needed to grow the economy. • Benefiting Business – Small and Medium Businesses benefit as Apprenticeships engender loyalty as well as giving them access to highly trained workers, which avoids the expense and the problems of skill shortages. I would be grateful if you could respond and let me know that you will continue to support the bill and help it to become law. At the TUC apprenticeship conference today. Stand set up. Hopefully we will get lots of interest and lots of support from union delegates. Doing a lot with unions this week as I am attending the National TUC apprenticeship conference at Congress House in London on Wednesday. NEAC will be exhibiting at the TUC unionlearn conference at St James Park Newcastle on Monday the 7th Feb.
Why not come and see us if you are attending? We would love to tell you what we are up to. I will post more info on the day. Why not follow us on Twitter (NEACltd) and keep up to date. Looks like a great Agenda. 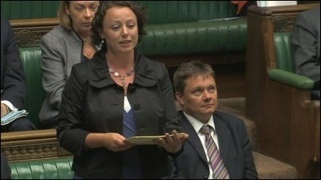 It will be great to hear Catherine McKinnell MP who is one of NEAC’s excellent employers.